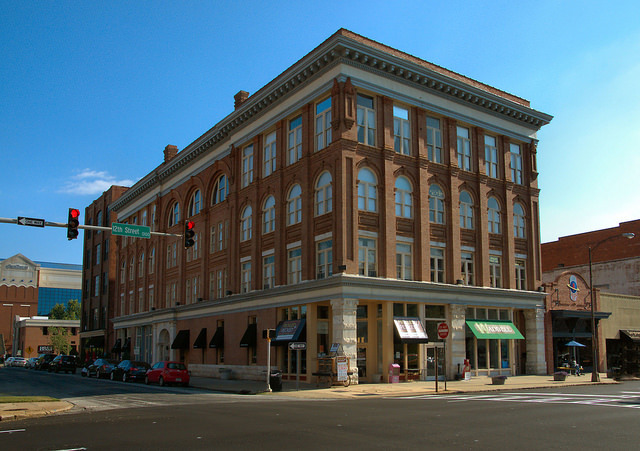 Also known as the Flowers Building, for a later tenant, this Chicago-style landmark was designed by architect T. Frith Lockwood to house the local Masons. The floors not used for the lodge were rented as office and retail space. It’s now used as a residential space. 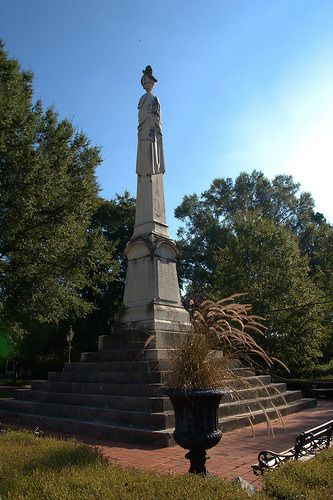 (Lockwood’s son, T. F., Jr., was also a prominent Georgia architect). 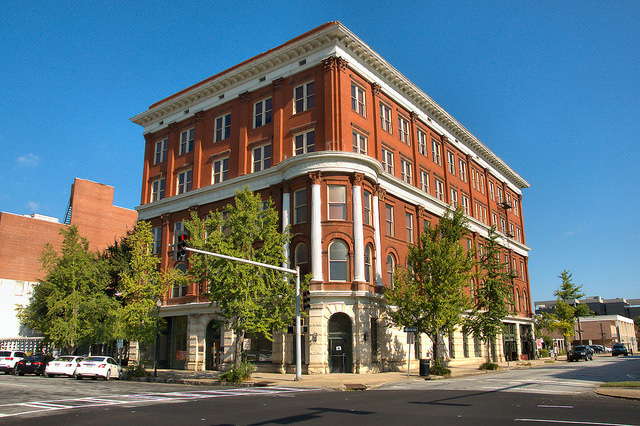 Originally known as the Columbus Investment Company Building, this was known as the Murrah Building by 1910. In 1958, it was renamed the Empire Building. 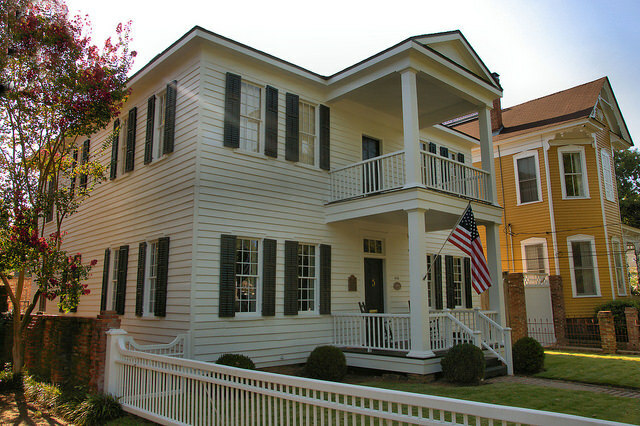 This house is quite similar in style to the Milledgeville Federal houses which can be found in the old capital city. This style is not common and is quite interesting to see in Columbus. 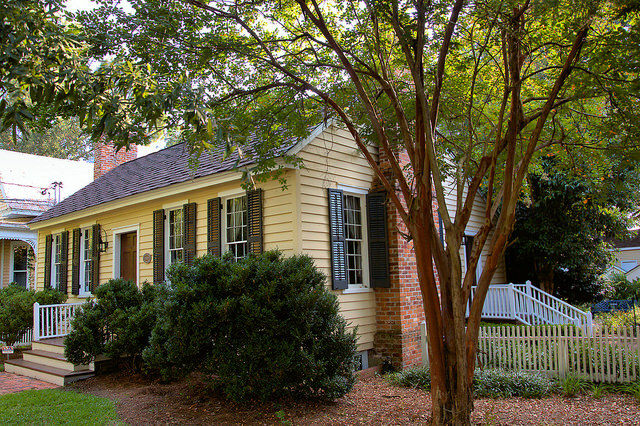 Architectural historians may call it Federal-inspired or Federal Revival, but I was immediately aware of the aesthetic connection to the Milledgeville houses. Prefab housing of the 19th century? This house was built for Colonel Virgil H. Walker by Nathaniel Peters and is believed to have been fabricated offsite, then constructed at this location. 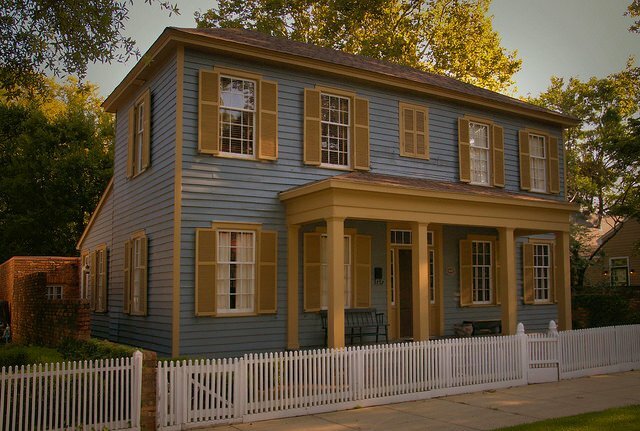 Thought to be the oldest house in the original city limits of Columbus, it was likely a town house for Colonel Walker’s large family, who were prominent landowners in neighboring Harris County. 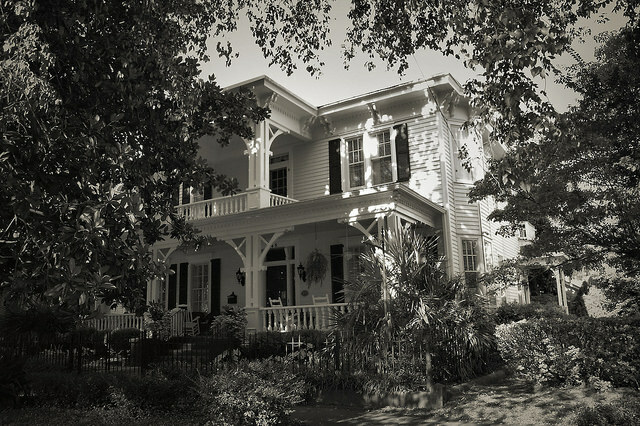 Colonel Walker sold the house and lot in 1836 to Mrs. Dicey Peters. In 1849, Mrs. Peter’s daughter Frances, who had married Will Langdon, obtained the house. Members of the Langdon family occupied the house for over a hundred years. Today, the property is owned by the Historic Columbus Foundation. It’s open for tours, but only by appointment. This amazing survivor is located next door to the Pemberton House.